Is there an article on best IHG redemptions in the world? This depends on where you want to go. No stand out options. Nothing in Maldives of note. Lots of people rate IC Bora Bora but that’s too far for most Brits. Asian resorts are rarely so expensive for cash. Best value tends to be city hotels where InterCon has a good position in New York, Sydney, Paris etc. ‘Value’ is always more notional in City hotels, however, since the difference between a 5-star and a 3-star in London is a lot smaller than the difference between a 5-star Maldives resort and a 3-star Maldives resort (and there are Premier Inn hotels in London which have better rooms than some 5-star hotels). Just checked their website and there is an IC opening in the Maldives on 1 Oct 19. We stayed at the IC on Koh Samui, thought it was excellent. One of my favourites. We’re going again in Sep, this time for four nights. IHG really don’t have many aspirational properties. Worth keeping an eye on Kimpton – there’s some more interesting locations emerging. Surely the regent purchase adds a few? I think it’s called IC Sun Resort Danang (Vietnam). Aspirational for me, at least! IHG redemptions…..I spent a night this week at the Hotel Indigo in Warsaw, at 15000 points it was excellent, location, food, large rooms, couldn’t fault it. OT: Great news about Virgin starting to serve Tel Aviv on 25 September 2019! Methinks they may get apart from point to point traffic also a lot of USA transfer, which is quite a big market. Had they instead gone for Manchester 2 months ago they could have prevented El Al moving in. Given it’s relatively low cost and central location I’m curious why HI Oxford Circus hasn’t made it into the article or comments? I have it locked in for one night on 35k simply for a place to sleep after a show so now wondering if I should change it? It’s nothing special, but definitely a good value redemption in terms of location and points cost. If it’s convenient for your show, don’t change it. Some of the rooms have been refurbished, others are still rather old-fashioned. Never been there and never heard much about it – no other reason. I’ve been and you aren’t missing much. Bit like Mayfair – lives on the location, could do with a complete refurb and dragging into this century but it’s ok. Avoid a room with a Murphy bed and it’s bearable. Great idea for an article! One other suggestion is Day/Weekend Trips from London – while trying to hit Accelerate targets I’ve been to CP Gerrard’s Cross (lovely), CP Reading (likewise), HI Reading West (fine), HI Maidenhead (fine), CP Marlow (very nice), HIE Slough (functional), which were all pretty cheap at weekends and useful for some nearby activity. HIE London City on Old Street – recently booked here for 40k as needed to stay in the area, and it was ok – small rooms, but the free breakfast was handy and if you are coming for a night on the town it’s in a great spot with lots of activity! Anyone been to Wooten house? We did a bit at CP Marlow when the kids were younger. There was a time post crash when the suites were £99 at weekends! I like the Staybridge model and have stayed in a few in the US which I mostly found comfortable and well run. Also should mention I’m targeting the newly opened Staybridge at LHR to try out, the next time I’ m using LHR. I won’t be staying in the Staybridge at LHR too soon, though. Once again on the IHG Accelerate replacement promotion, IHG has given me some ridiculously high targets to achieve. For the number of nights they want there just isn’t any incentive to give them stays. So for next few months I’ve actually moved stays away from IHG and unfortunately this is delaying my getting to try the new Staybridge at LHR… for now. Hilton has nearly grabbed me completely. Stayed at the Staybridge on Bath road LHR, it was great, it was, however, only six days old on the 28th December last year when I stayed, so everything was pristine. +1, a new one opening in Dundee tomorrow too. They also have an Indigo which can be very inexpensive at weekends too,(depending on football). Would check out the Hotel Indigo too – gets good reviews. +1 Plus our new V&A museum to visit! 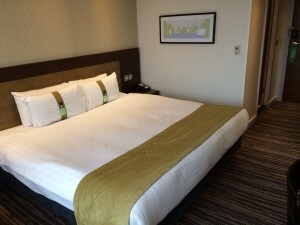 I was impressed by the Staybridge In Vauxhall when I stayed there a couple years ago. The Indigo is nice and they have done a really good job with the building in Dundee, although parking for the Indigo and SBS looks like it is going to be an issue and the hotel management seem to be quite intransigent at helping guests/restaurant customers who have incurred charges. I think hotels in Dundee are at saturation level now though. There is probably about 700 additional rooms in the city compared to two/three years ago and the rates are very low. Don’t think the V&A has had the affect hoteliers thought it would. When the Premier Inn on the waterfront reopened last year the rates at the HIX and the Hampton pretty much halved. Stayed at the Indigo Dundee. Rooms lovely but a bit dark.Only disappointment was as a Spire fighting for a midday late check out then the room phone rang at midday exactly! Really annoying. We all know they can’t clean every room at once and everyone doesn’t turn up at 3pm to check in. Ridiculous behaviour from European from hotels I hardly ever see in Asia. Not to mention that many HIX in Asia are often as good or better than CP elsewhere, and many HI as good or better than IC elsewhere. 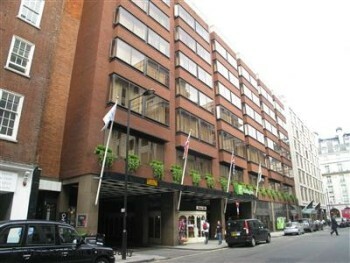 Holiday Inn Express Newbury Park, 5 minutes walk from the tube station. Night tube on the Central Line throughout Friday and Saturday nights, so inexpensive transport back. 20,000 IHG points a night. Hotel sometimes features on IHG Points Break promo. Stayed several times in the last two months using early December 18 IHG Points Break, including New Year’s Eve for 10,000 points! Holiday Inn Express Newbury Park is a modern hotel, an acceptable 4.2 IHG quality rating, friendly staff, surprisingly quiet rooms as it’s next to a main road, so a good nights sleep. As an IHG Platinum, given a room on the top floor (7th floor), even when staying on Points Break promo for 10k per night. Excellent value. I’ve stayed at Crowne plaza kings cross, nice hotel with the right status you get an upgrade to use the club lounge which includes free breakfast. The Voco in Cardiff only allows hotel guests to use their pool at certain times – early morning or in the evening. I guess this is to gain maximum revenue from the spa visits from non-residents. I didn’t see this mentioned on their website though and it does seem a bit unfair, given rooms were costing upwards of £130 per night. Voco Gold Coast was superb – amazing value at 15k per night, two pools to pick from and decent upgrade with amazing sea views. $20/night parking a bit annoying but not many other options nearby. Thanks for the information. That’s a bit disappointing. Anyone used the CP Battersea? Seems to be well reviewed. That’s unlikely in my experience (although arguably if its good enough for Prince George etc) although if you ever are there on a Sat or a Sun you will probably find me on the mini golf in the park with my lad …. Thank you for your reviewa of IHG properties. We are from the States. My wife and I traveled to London 5 times last year. All but one time we stayed at the Hoilday Inn Kensington Forum. It is almost across the road, Cromwell, from the Crown Plaza Kensington. In our opinion, it is a very nice hotel, very reasonably priced with points, very close to a Tube station with two lines running thru it. You can walk to many museums. When we go back, we will stay there again. It also has a very nice pub, with good food. The one drawback is the size of the rooms. They are small. The hotel is ugly as hell! Once did a £29 mattress run night there (I live virtually around the corner). Too depressing for me. It is now scheduled for demolition if the planners approve the replacement tower. Great article, thanks Rob. I stayed in the Indigo ‘Kensington’ (Earls Court a better description). Great staff, nicely appointed rooms though cooked breakfast (to order) a bit disappointing. Air con system in all rooms was out of order while it was being replaced and every room had oil filled electric radiators. Would certainly stay again if I was around that area, but my next stay is to try out the CP at ‘Kings Cross’. Just looking at reward nights for an upcoming weekend in October. The only hotels on the recommended list that are available for reward nights are HI Camden and CP at Kings X. Have to say, that is pretty disappointing this far out.